With more than 40 million immigrants arriving in the U.S. each year—most of them from Mexico—it’s urgent for healthcare marketing professionals to have their fingers on the pulse of the purchasing patterns of Hispanic consumers. Fortunately, a recent report from PwC showed some common cultural views that Hispanics have on healthcare. PhysicianPractice.com examined these distinctions to explain how healthcare marketing can cross the cultural border. To help Hispanic consumers connect with your practice, check that your address and contact information are completely accurate on every major search engine. While more and more healthcare brands may be active on social media, their posts have primarily been written only in English. Now with the growing Hispanic audience, these messages also must be in Spanish. While it’s best to hire a dedicated Spanish-language translator, a more affordable alternative is using an online translation service to translate every post. Just like Americans, Hispanics are a major mobile audience and love the convenience of mobile apps. To help all of these consumers easily find healthcare information from your practice, offer a user-friendly mobile app in both English and Spanish versions. Mobile is huge in the Hispanic market, which increases the likelihood that Hispanic consumers will find your practice on a mobile device. Make it fast and easy for them to view and navigate your web site by making it mobile-friendly. Overcome the Hispanic language barrier by offering Spanish versions of all your communications. Along with reducing misunderstandings, it ensures that Hispanic consumers can learn about your practice. Plus, it’s a thoughtful gesture that will make Hispanic patients feel more welcome. But when it comes to your ad campaigns, a simple translation of your English campaign is simply not enough. It’s important to create a separate Hispanic-focused campaign that speaks to this growing market. 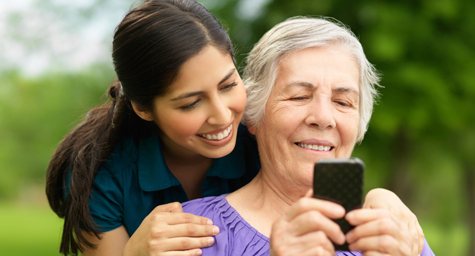 Discover marketing strategies to bring healthcare to the Hispanic audience. Contact MDG Advertising.